Some­times tran­si­tion can be dif­fi­cult. Often times when we ded­i­cate our­selves ful­ly for a while, we can lose sight of our iden­ti­ty. Maybe we nev­er real­ly knew it in the first place. For many vet­er­ans, it can be a strug­gle find­ing their pur­pose as they build their lives after hav­ing faith­ful­ly and brave­ly served our coun­try. Some­times there can be a gap, one that many of our sol­diers fall into and can’t find a way out. 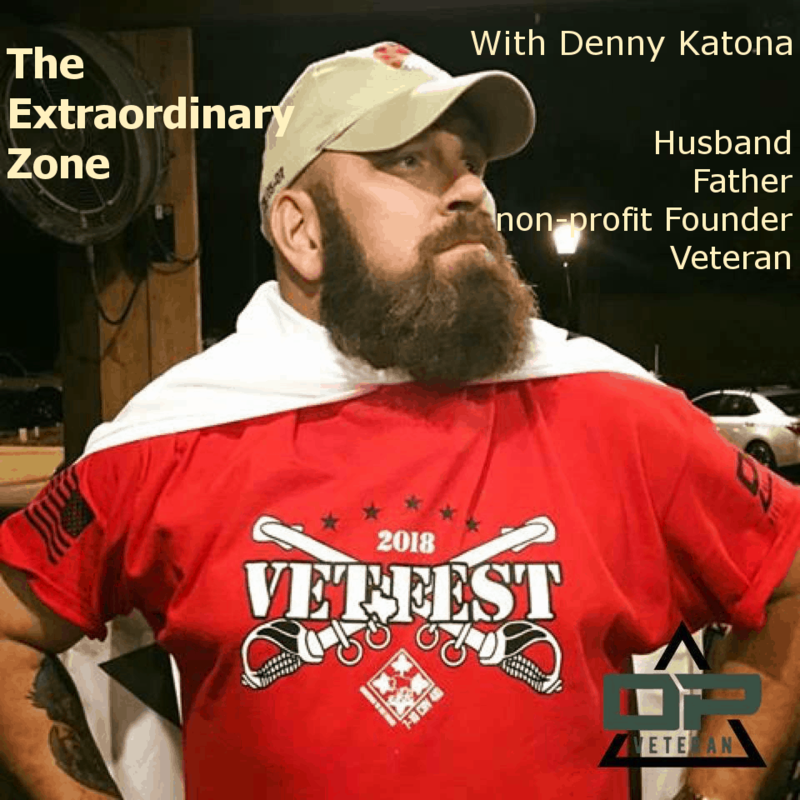 Den­ny Katona, our guest on The Extra­or­di­nary Zone, talks about how he found him­self in the deep­est dark­est part of that gap. He tells us how he climbed out of the gap and how he stays out of it going for­ward. This amaz­ing vet­er­an built a non-prof­it, OP Vet­er­an, to serve the vet­er­an com­mu­ni­ty and con­nect with oth­er orga­ni­za­tions. Their goal is to one day cre­ate a hub so that no vet­er­an is ever left in that gap alone. They strive to give vet­er­ans mul­ti­ple hands to grab onto to pull them­selves out.